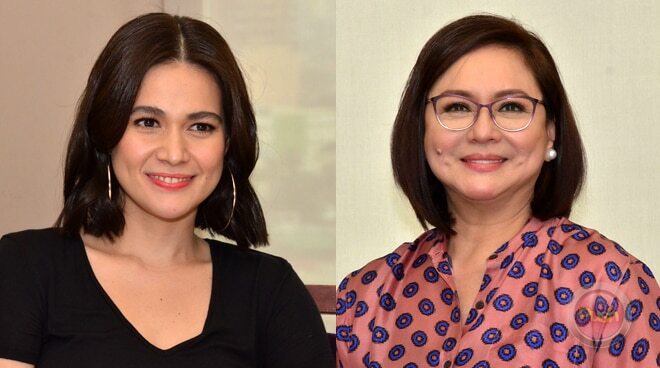 Charo Santos-Concio returns to the big screen once again with an exciting new murder mystery project. After her big screen comeback in Ang Babaeng Humayo last year, Charo Santos-Concio is looking forward to acting again, this time in director Mikhail Red’s horror film Eerie which is a murder mystery set in an all-girls Catholic school in the late 1990s. “In the film I will be the Mother Superior. We don’t really want to reveal too much but let’s just say that I have a very traditional mindset. I am a Mother Superior who believes in the doctrines of the church and all that stuff and I represent the institution,” she shared during the Eerie story conference held last December 11 inside the ABS-CBN compound. The Maalaala Mo Kaya host admitted she has always been a fan of horror films so she did not hesitate to take on her newest role. “I’ve seen a lot of horror films, Conjuring, Annabelle, even the Alfred Hitchcock-type of films. I grew up watching films. I’ve loved cinema from day one. It’s not really about the genre, it’s the story and the character. I was drawn to the story and the character. So nagkataon lang na horror genre. Horror naman is an exciting genre,” she explained. With more than four decades of experience in making movies, the Eerie actress said she looks forward to working with a younger generation with co-star Bea Alonzo and director Mikhail Red. “I’m back to doing my second horror film. My first film was Itim, it was a horror film. This will be my second and I’m looking forward to working with Bea and of course Mikhail and Micah (Tadena of Media East) here. Actually this is a production of Pelikula Red and Media East so Star Cinema was kind enough to include me and allow me to do this,” she said. Apart from the exciting material, Charo said she is looking forward to working with Bea Alonzo for the first time in a movie. “Bea is such a competent actress and there’s nothing to be scared of. Pareho lang ang nerbiyos namin,” she added. Eerie is scheduled to start production in March 2018.